1. The Government has taken adequate measures to ensure provision of boys and girls toilets in all the Government and Local Body Schools in the State. Sanitation facilities are foremost important in maintaining health & hygiene and for overall development of the students. Further, the Government has also taken a prestigious programme "Telanganaku Haritha Haram" and saplings are being planted in all the Schools in the State. 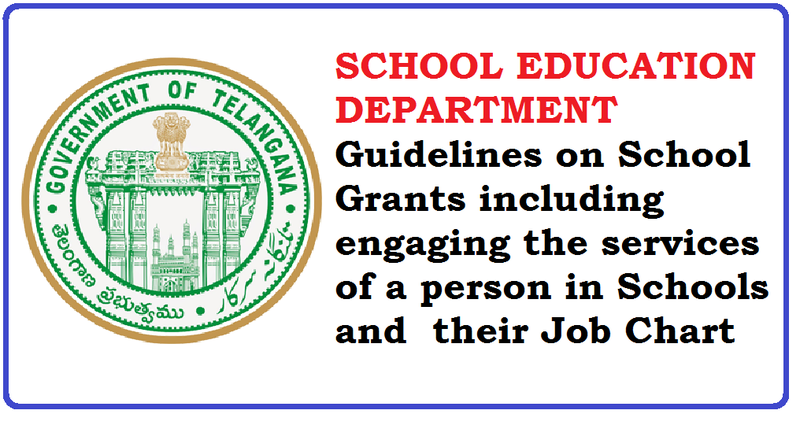 In order to sustain the Sanitation facilities in the Government Schools and also to water the plants in the School premises, necessary funds and guidelines are provided to nsure maintenance of the toilets clean and also to water the plants in the School premises. i) The School Management Committee of the School may engage one local person if the School is not having any attenderjpart time worker. If the School is having 2 attenders (lattender & 1 part time worker) or one attenderjpart time worker, then no person may be engaged. ii) An amount of Rs.25,000j- per School is allocated as School Grant to the Schools with enrollment up to 40 and Rs.30,000jper School as School Grant to the Schools with enrollment above 40.
iii) Honororium: An amount of Rs.2,000j- per month (Max) for a period of 10 months has to be paid to the person in the Schools with enrollment up to 40. In case of the Schools with enrollment above 40, Rs.2,500j- per month (Max) for a period of 10 months has to be paid to the person. The person has to attend the School at 7.30 AM and stay in the School till the closure of School hours. To clean the School premises, Classrooms and toilets in the morning and evening as required. Watering of the plants in the School premisesdaily. Providing water in tubs in the Toilets wherever running water not available. To attend to the duties assigned by the Headmaster during the School Hours. Providing drinking water to Children.